This course provides you effective analytical tools to appraise real estate for investment purposes at international standards. You will be able to price properties properly prior to offer onto the market or to acquire properties with high degree of confidence. Real estate professionals, investors, developers as well as authorities involved should attend this course. 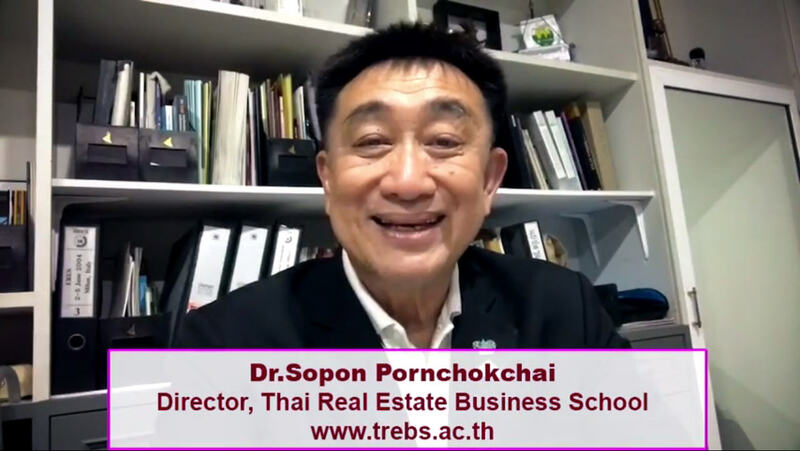 Dr.Sopon Pornchokchai, President, Agency for Real Estate Affairs (www.area.co.th) who is also the Director of the Thai Real Estate Business School (www.trebs.ac.th) would hold a valuation course AP100: Practical Valuation Techniques for Investment Purposes in Vientiane during December 21 to 23, 2018. 1. To train the participants thoroughly and comprehensively on understanding the practical tools to value properties. 2. To learn case studies on how to value properties in real practice. 3. To help establish a network among participants to learn more about investing in investment properties. Participants: The expected number of participants is 30-50. Materials: 1. Collection of course materials and ppt. Account Holder Name: Houmphanh Saiyalath Mr.